Built on a history of business-done-right, Allpack Fulfillment creates partnerships that last. Our years of experience have led us to a streamlined process that saves you time and money. And with services for every size business, you can be sure that as your business grows, we can grow with you. Allpack Fulfillment offers solutions for growth. Our streamlined services and state-of-the-art technology help you track your products while we manage the details—and the heavy-lifting. With a virtual warehouse at your fingertips, we offer everything from inventory stock outs that help you plan what to replenish to updating inventory on your web site. Our real time updates ensure that you stay informed, and your customers stay happy. We share our savings with you. Whether you are a small internet merchant or an international retailer, Allpack Fulfillment can help you reduce labor and shipping costs. Allpack’s buying power and streamlined processes let us transfer our savings on to you. Ready to make the leap from B2C to B2B? Allpack knows how to handle growth, no matter what the pace. With a modern warehouse facility and an expert team, we know how to manage your inventory efficiently, whether its one cubic foot or one thousand. With custom-built pricing plans and a long history of business done right, Allpack can advise you on a order fulfillment or ecommerce fulfillment plan that fits your budget and your needs. Our flexibility means that as you grow, we grow with you. We’re your partner in growth. 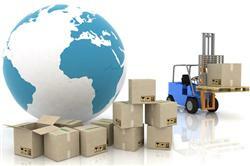 We create partnerships with businesses that are seeking reliable warehouse and shipping services. Let us manage your inventory so you have time to grow your business. Our superior fulfillment services and service level guarantees ensure that each order is done right, every single time. Our system receives requests 24/7 and has same-business-day processing. Pair our turnaround times with technology that seamlessly integrates into your sales channels, and we’ll have you off and running in no time. Customers are expected to conduct independent research to ensure that the items sent to Allpack Fulfillment are in compliance with all local, state, national, and international laws. If we determine that the item is prohibited, we may summarily remove it without returning any fees that have incurred. Allpack reserves the right to make judgments about whether or not your items are appropriate. Please take a moment to familiarize yourself with the items we prohibit. Items that infringe upon an individual’s privacy.